Pearls, nature’s magical creation, are regarded as one of the five precious gemstones in the world. They are a symbol of purity, perfection, and beauty. For centuries, pearls have piqued the world’s fascination, and are mentioned in the religious scriptures of Judaism, Christianity, Hinduism, and Islam. Formed in water, pearls develop organically in molluscs, such as oysters or mussels. Archaeological evidence indicates that pearls were first found in the sarcophagus of a Persian princess who was laid to rest with her jewellery– the fragments of which are now at the Louvre Museum in Paris. In ancient times, pearls were used to enrich clothes and buildings, and were also used in jewellery, art, and as a cosmetic aid. Even to this day, pearls continue to be used in cosmetics and jewellery. Throughout history, pearls have been synonymous with royalty, and a high-quality pearl strand comes with a hefty price tag. Pearls are a perfect gift for 30th wedding anniversary and traditionally, it is referred as the Pearl Anniversary. 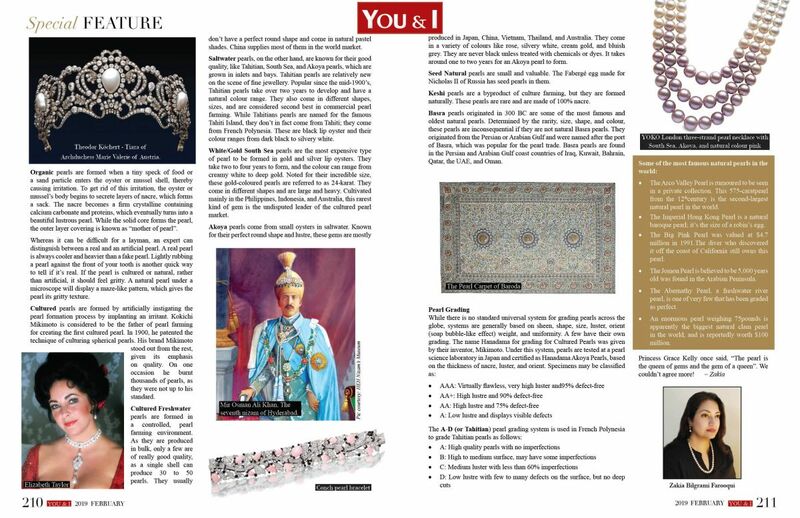 Hyderabad is known as the City of Pearls because His Exalted Highness Nawab Sir Mir Osman Ali Khan Siddiqi’s – the last Nizam of Hyderabad– had a fondness for the iridescent gem. His love for the oldest gemstone in the world prompted many craftsmen and artisans to move to Hyderabad. It was said that his collection of pearls could fill an Olympic-sized swimming pool. Queen Elizabeth II is also known for her love of pearls. Her Majesty’s favourite is the three-strand necklace of even-sized pearls that her grandfather, King George V gifted her in 1935. She loved it so much that she made another three-stand necklace for herself in 1952. 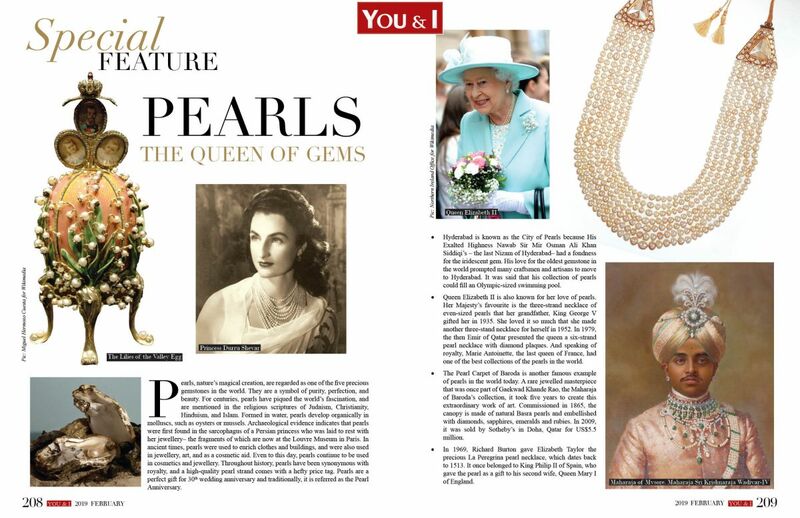 In 1979, the then Emir of Qatar presented the queen a six-strand pearl necklace with diamond plaques. And speaking of royalty, Marie Antoinette, the last queen of France, had one of the best collections of the pearls in the world. The Pearl Carpet of Baroda is another famous example of pearls in the world today. A rare jewelled masterpiece that was once part of Gaekwad Khande Rao, the Maharaja of Baroda’s collection, it took five years to create this extraordinary work of art. Commissioned in 1865, the canopy is made of natural Basra pearls and embellished with diamonds, sapphires, emeralds and rubies. In 2009, it was sold by Sotheby’s in Doha, Qatar for US$5.5 million. In 1969, Richard Burton gave Elizabeth Taylor the precious La Peregrina pearl necklace, which dates back to 1513. It once belonged to King Philip II of Spain, who gave the pearl as a gift to his second wife, Queen Mary I of England. Organic pearls are formed when a tiny speck of food or a sand particle enters the oyster or mussel shell, thereby causing irritation. To get rid of this irritation, the oyster or mussel’s body begins to secrete layers of nacre, which forms a sack. The nacre becomes a firm crystalline containing calcium carbonate and proteins, which eventually turns into a beautiful lustrous pearl. While the solid core forms the pearl, the outer layer covering is known as “mother of pearl”. Whereas it can be difficult for a layman, an expert can distinguish between a real and an artificial pearl. A real pearl is always cooler and heavier than a fake pearl. Lightly rubbing a pearl against the front of your tooth is another quick way to tell if it’s real. If the pearl is cultured or natural, rather than artificial, it should feel gritty. A natural pearl under a microscope will display a maze-like pattern, which gives the pearl its gritty texture. Cultured pearls are formed by artificially instigating the pearl formation process by implanting an irritant. Kokichi Mikimoto is considered to be the father of pearl farming for creating the first cultured pearl. In 1900, he patented the technique of culturing spherical pearls. His brand Mikimoto stood out from the rest, given its emphasis on quality. On one occasion he burnt thousands of pearls, as they were not up to his standard. pearls are formed in a controlled, pearl farming environment. As they are produced in bulk, only a few are of really good quality, as a single shell can produce 30 to 50 pearls. They usually don’t have a perfect round shape and come in natural pastel shades. China supplies most of them in the world market. Saltwater pearls, on the other hand, are known for their good quality, like Tahitian, South Sea, and Akoya pearls, which are grown in inlets and bays. Tahitian pearls are relatively new on the scene of fine jewellery. Popular since the mid-1900’s, Tahitian pearls take over two years to develop and have a natural colour range. They also come in different shapes, sizes, and are considered second best in commercial pearl farming. While Tahitians pearls are named for the famous Tahiti Island, they don’t in fact come from Tahiti; they come from French Polynesia. These are black lip oyster and their colour ranges from dark black to silvery white. White/Gold South Sea pearls are the most expensive type of pearl to be formed in gold and silver lip oysters. They take two to four years to form, and the colour can range from creamy white to deep gold. Noted for their incredible size, these gold-coloured pearls are referred to as 24-karat. They come in different shapes and are large and heavy. Cultivated mainly in the Philippines, Indonesia, and Australia, this rarest kind of gem is the undisputed leader of the cultured pearl market. Akoya pearls come from small oysters in saltwater. Known for their perfect round shape and lustre, these gems are mostly produced in Japan, China, Vietnam, Thailand, and Australia. They come in a variety of colours like rose, silvery white, cream gold, and bluish grey. They are never black unless treated with chemicals or dyes. It takes around one to two years for an Akoya pearl to form. Seed Natural pearls are small and valuable. The Fabergé egg made for Nicholas II of Russia has seed pearls in them. Keshi pearls are a byproduct of culture farming, but they are formed naturally. These pearls are rare and are made of 100% nacre. 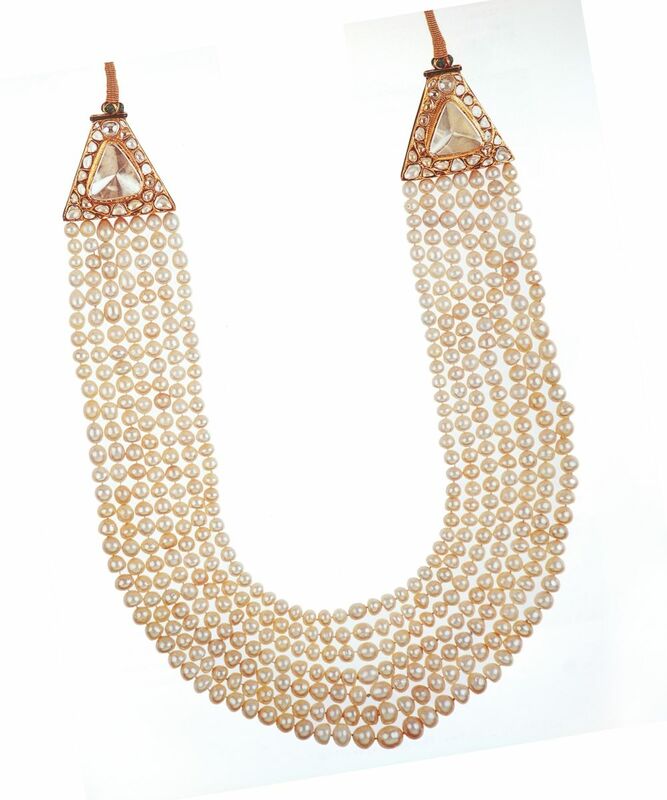 Basra pearls originated in 300 BC are some of the most famous and oldest natural pearls. 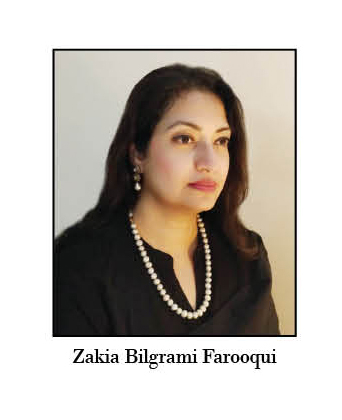 Determined by the rarity, size, shape, and colour, these pearls are inconsequential if they are not natural Basra pearls. They originated from the Persian or Arabian Gulf and were named after the port of Basra, which was popular for the pearl trade. Basra pearls are found in the Persian and Arabian Gulf coast countries of Iraq, Kuwait, Bahrain, Qatar, the UAE, and Oman. The Arco Valley Pearl is rumoured to be seen in a private collection. This 575-caratpearl from the 12thcentury is the second-largest natural pearl in the world. The Imperial Hong Kong Pearl is a natural baroque pearl; it’s the size of a robin’s egg. The Big Pink Pearl was valued at $4.7 million in 1991.The diver who discovered it off the coast of California still owns this pearl. The Jomon Pearl is believed to be 5,000 years old was found in the Arabian Peninsula. The Abernathy Pearl, a freshwater river pearl, is one of very few that has been graded as perfect. An enormous pearl weighing 75pounds is apparently the biggest natural clam pearl in the world, and is reportedly worth $100 million.